It is not individually but together that we will be filled with His fullness. So, in the life of the community, as we love and serve one another, the daily realities of our own walks with Jesus are expressed in our relationships with one another. The parallel drawn here is between the unity and fellowship of the Father and the Son, and the unity and fellowship of all true saints. We are to be one in the same way that the Father and the Son are one; and so we are to enjoy fellowship with each other in the same way that the Godhead has enjoyed fellowship for eternity. How did Jesus fellowship with His Father in eternity, and be one with Him? The answer is that He lived with Him. He beheld Him. He loved Him. He experienced Him. He knew Him. He enjoyed Him. There was no denominational structure within the Godhead. There was life. There was no imposed organization – just living fellowship. And it will be the same within and between churches. What God is going to do, and is even now doing, is to bring to pass living fellowship. He is not going to initiate another pattern of ritual and religious ceremony. He is not going to establish another denomination, another set of formal systems of leadership, another structured religious organization. He is bringing about fellowship. This is not one group swallowing up other groups to form some “mega-church.” This is fellowship. This is participation in the Divinely-imparted life of one another. This is fellowship. This is fellowship with Jesus in one another. And this is what God is doing in this hour. God is not building another formal, binding ecclesiastical structure; but He is building, by His Spirit, living organic fellowship. He is building together a fit dwelling-place for Himself (Eph. 2:22). Christian unity is not a unity of structure, but of fellowship. It is not an outward identification with other Christians or churches or movements. It is a living, spiritual union. When we speak of “fellowship” in this context, we do not mean superficial relationships, but Divine fellowship. We are not referring to mere friendliness or co-operation, or just doing things together. We mean a living, spiritual fellowship; participating in the life of Jesus in each other; beholding Him in one another; touching Him, and being touched by Him, through each other. It is a fellowship that proceeds spontaneously from the overflowing reality of the indwelling Presence of Jesus Christ in our hearts and lives. It is through true spiritual fellowship with each other that we are touched by Him; and when His hand touches us, we are changed. This is how the saints minister to each other for the building up of the body of Christ. This is how “the whole body (is) joined and held together by every supporting ligament.” This is what happens “ as each part does its work.” This is how “the whole body grows and builds itself up in love” (Eph. 4:12-16). This is the process of corporate spiritual maturity. This is Christ dwelling in the hearts of His people, in ever-increasing revelation of Himself. This is all the saints coming to the experiential knowledge of the fullness of His love. This is the church which will soon be “ filled to the measure of all the fullness of God” (Eph. 3:17-19). And it is through fellowship. Again, by “fellowship” we do not mean shallow friendships, but intimate, spiritual friendships; spiritual communion; the expression of Divine life within God’s people. Christian fellowship is a heart to heart, “deep calls to deep,” intimate spiritual communion. It is a profound perception of Jesus Christ in one another; enjoying Jesus in each other. It is a receiving from Him through each other; a giving of Him one to another. It is fellowshipping with Him – together. It is participation in the eternal fellowship of the Godhead – together. It is participation in the everlasting love of the Godhead – together. Think of the eternal fellowship of the Father, Son and Holy Spirit. Think of the joyful, loving, living, abundant fellowship within the Godhead. That is the life of His church. Our love to each other is to be “as” Jesus loved us. How could we love one another with Jesus’ love, unless He Himself were abiding within us to love? And how could our brother be worthy of such love, except Jesus were abiding in him to receive it? As we love one another, we love Him. As we enjoy one another, we enjoy Him. In caring for each other, we care for Him. In opening our hearts and lives to one another, we invite His Presence. In serving each other, we kiss His feet. In pouring out our lives for one another, we pour out His love back to Him. As we prefer one another, we give Him the preeminence. As we behold each other, we perceive His beauty. As we embrace one another with self-giving love, we taste His sweetness. As we wash each other’s feet, we smell His fragrance. Jesus dwells in His church – to love and to be loved. As we love one another, quickly and imperceptibly the one love passes over into the other, and we love Him. As we fellowship with each other, quietly and almost unnoticeably we come in contact with Him. And the loving fellowship with which we embrace our brother ascends to that with which we love God, and we are united together in the eternal love and fellowship of the Godhead. Church life is both a foretaste and a beginning of everlasting life. As we love one another, we participate in the eternal love and fellowship of the Godhead, joyfully awaiting the fullness of this union, in the realm which is to come. 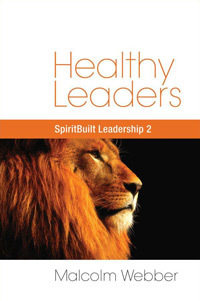 Leaders, too, need healthy communities around them – communities that will uphold and strengthen them – communities that are characterized by open communication, candor, loving accountability, trust, and unconditional acceptance – communities that will challenge them to authentic leadership – communities within which they will find personal maturity and fulfillment. In these “safe environments,” people have the freedom to be honest and to grow within boundaries framed by shared values and common goals. Such healthy organizational communities nurture character. Although many capacities can be developed outside of intimate, authentic relationships, character cannot. Our next Letter will continue to deal with the role of community in the life and ministry of the healthy Christian leader.